Fierce fighting was underway Monday between U.S.-backed Syrian forces and the Islamic State group around the terrorists’ last foothold in eastern Syria, with the besieged terrorists fighting back using suicide car bombs, snipers and booby traps, a Syrian war monitor and a Kurdish news agency said. The capture of the IS-held village of Baghouz and nearby areas would mark the end of a four-year global war to end IS’s territorial hold over large parts of Syria and Iraq, where the group established its self-proclaimed “caliphate” in 2014. The Syrian Observatory for Human Rights said the push by the Kurdish-led SDF has been slow due to land mines and sniper fire, as well as the extremists’ use of tunnels and suicide car bombs. The IS is also using civilians as human shields, the Observatory said. On Monday, the Observatory said 13 IS terrorists, including five suicide attackers, were killed, as well as six SDF fighters. 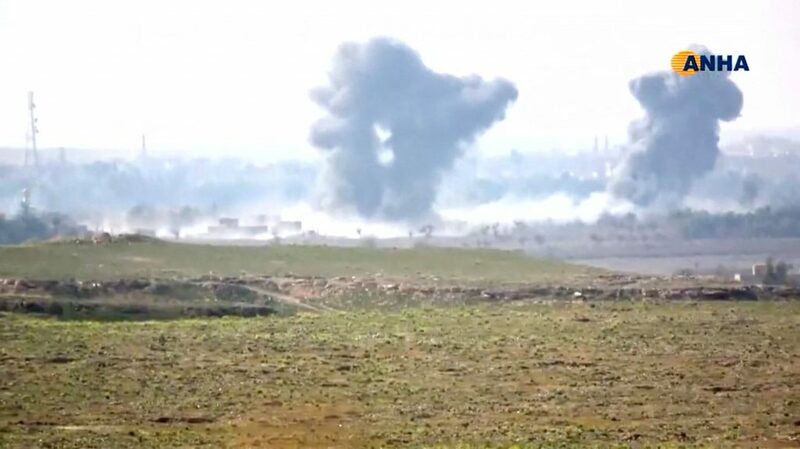 The Kurdish Hawar news agency also reported heavy fighting Monday in Baghouz. The U.S. military has warned the group could stage a comeback if the military and counterterrorism pressure on it is eased.